Calvert County Tree Service is a professional, licensed and insured full service tree company providing tree maintenance and management solutions for all your tree needs. We take pride in providing all of our customers with prompt and reliable, quality service at an affordable price. We are competitive in the tree industry and we want you to trust us with your tree, shrub and yard clean up needs. We have been providing residential and commercial property owners with high-quality service for over 15 years. It has always been our goal to meet and exceed our customers’ expectations by going above and beyond what they would expect. Dependability, reliability and efficiency are what we stand for when it comes to meeting your needs 100% of the time. Our goal, whether we are working on a small job or large, is to leave all your surrounding structures, trees and landscaping untouched as well as providing complete removal and cleanup of all debris. We are fully licensed and insured and can save you money long term as well as save you hours in the yard if you use our tree service on a regular basis. We have a commitment to provide outstanding tree service with complete customer satisfaction. Tree Removal can be a dangerous job and should not be tackled by someone not familiar with tree removal. Here at Calvert County Tree Service, our certified arborists specialize in tree removal for your residential or commercial property and we are experienced in all sizes of trees. Our experts will first inspect the jobsite for hazards, and then determine how much rigging equipment will be required. The trees stability, age and proximity to structures and whether it’s near any electrical lines are all considerations that need to be taken into account when analyzing a tree removal. Leave tree removal to the professionals, for a safe and clean removal service call us today! 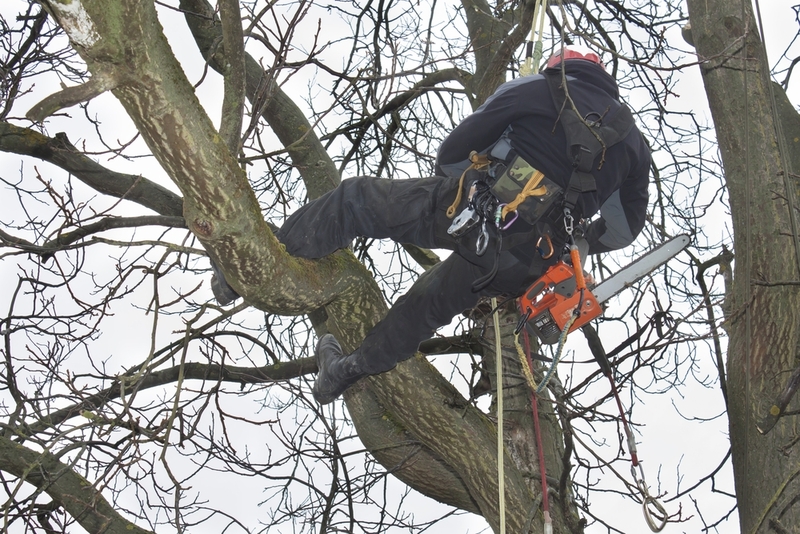 We ensure the highest tree care standard for each one of our customers, and promise to put your needs first. Your trees and property are in the hands of well-trained, and qualified tree care professionals. We can evaluate your trees and make recommendations with confidence that will make your landscaping flourish for generations. As a fully-insured tree service company, you can rest assured that our climbers meet the highest professional standards in the industry. Contact us for your free estimate! Friendly staff, and each employee works hard to get the job done safely and accurately. My wife and i were very impressed with how quick they got the job done. We will be calling again for any tree service needs. After we accepted the estimate, they got their team out to our property to get to work quickly. They removed several trees from our lot, and did an excellent job. Wonderful company that knows exactly what they are doing, and how to trim and cut down trees the safe way. Prices are reasonable and worth every penny. Every person that we have dealt with has been super friendly and very helpful. The whole process from getting an estimate to see how much it would be to cut down a few trees, to actually removing them, has been so easy and affordable! I proudly give these guys 5 stars! Calvert County tree service saved us when a tree fell across our driveway after a terrible storm, they came to our property and got the tree cleared quickly! This is a great company that i will be recommending to all my neighbors. Great Tree Removal and Trimming Services. This company does awesome work at a quick pace. I highly recommend them! This is the best tree servicing company in Hollywood Maryland! We call them every time we need help cutting down tree limbs.